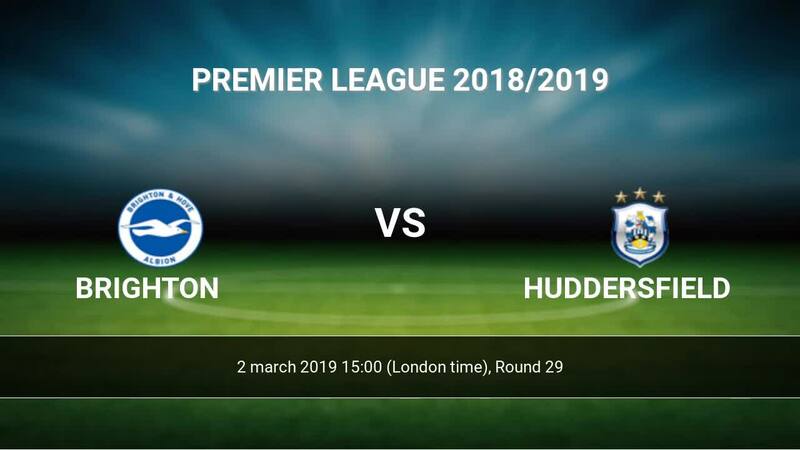 Kick off Brighton-Huddersfield in Premier League on today 15:00. Referee in the match will be Mike Dean. Team Brighton currently is on lower place in table (16 position). Brighton in 5 last matches (league + cup) have collected1 points. Brighton from 7 matches can not beat any rival. Players Brighton in Premier League with the highest number of goals: Glenn Murray 10 goals, Shane Duffy 5 goals, Pascal Gross 2 goals. Players , Shane Duffy 1 assists, Pascal Gross 2 assists will have to be very well guarded by defenders Huddersfield, because they have the most assists. Injuries in the team Brighton: Pascal Gross, Leon Balogun. Team Huddersfield is in the releagtion zone of the table. 20 position. Huddersfield in 5 last matches (league + cup) have collected3 points. Huddersfield from 7 matches away can not beat any rival. Players Huddersfield in Premier League with the highest number of goals: Mathias Joergensen 3 goals, Steve Mounie 2 goals, Aaron Mooy 2 goals. Players Mathias Joergensen 1 assists, Steve Mounie 3 assists will have to be very well guarded by defenders Brighton, because they have the most assists. Injuries in the team Huddersfield: Adama Diakhaby, Isaac Mbenza, Daniel Williams. Direct matches: Brighton won more direct matches. 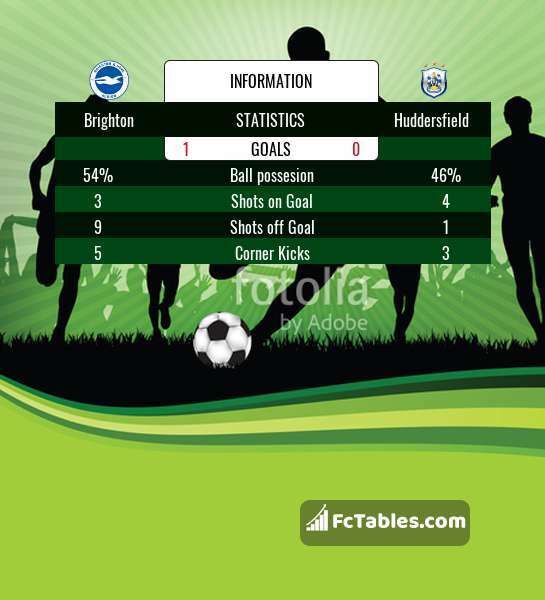 Brighton won 8 matches , Huddersfield won 7 direct matches, was a 10 draws. In 12 matches the sum of the goals both teams was greater than 2.5 (Over 2.5), and 18 matches teams scored more than 1.5 goals (Over 1.5). In 16 matches the both teams scored a least one goal (Both teams to score).